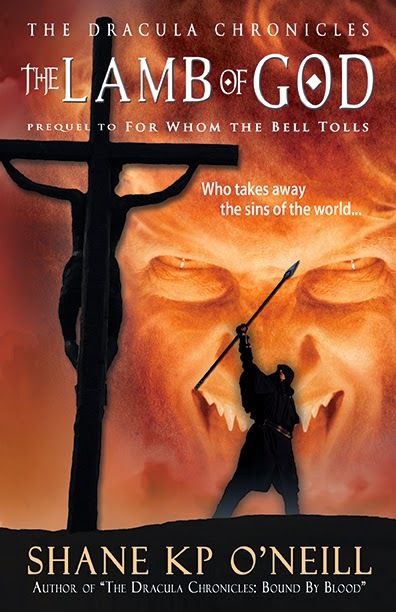 SHANE KP O’NEILL – THE DRACULA CHRONICLES. PREQUEL – THE LAMB OF GOD. 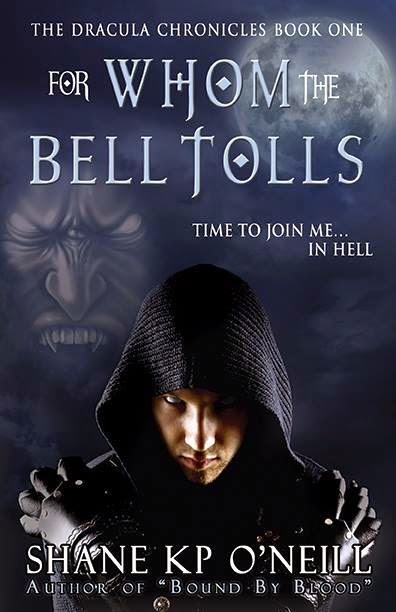 BOOK #1 – FOR WHOM THE BELL TOLLS. The battle for souls has raged since the truce that followed the First Great War. God has struck the ultimate blow and sacrifice to gain the advantage, and defeat Lucifer. As Lucifer stands at the foot of the Cross that drains the last ounce of life from Christ and eradicates man’s sins, he realises that his work must begin anew. The Catholic Church breathed life on that fateful day in Jerusalem. In time, Lucifer comes to understand his only chance to win this battle will be to destroy the institution of the Catholic Church, to turn man against God. He searches for more than a millennium for the candidate to see his plan through to an end, and finally discovers the one that can cast that final blow. 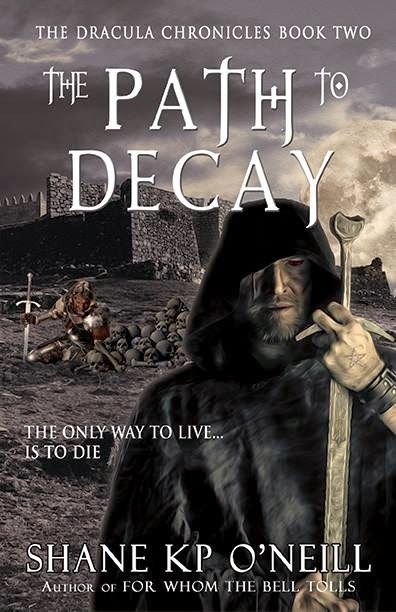 BOOK #2 – THE PATH TO DECAY. (Release date March 20, 2014). 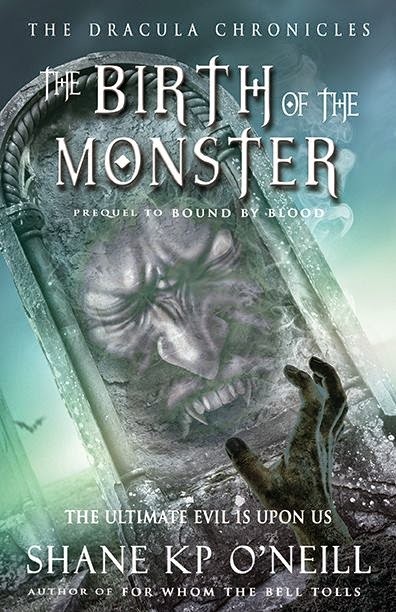 PREQUEL – BIRTH OF THE MONSTER. 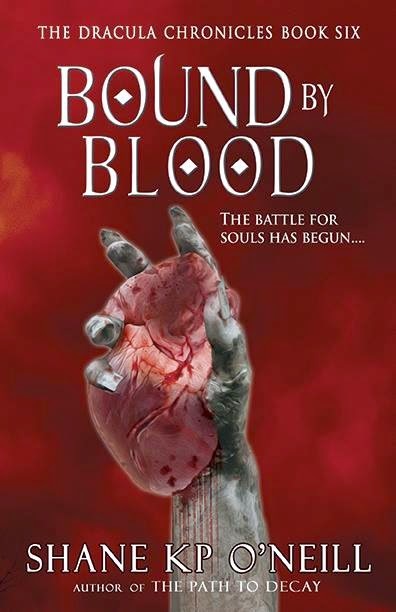 BOOK #6 – BOUND BY BLOOD. As his moment of death looms, Dracula suffers the ultimate betrayal. The champion of the Catholic faith in Eastern Europe realises it is Lucifer who is coming to claim him. However, Lucifer does not want his soul. Instead he bites into Dracula’s neck, and then offers his own blood to drink. Dracula suffers his mortal death, but he re-awakens. Immortalised with Lucifer’s blood coursing through his veins, the two are bound by blood for eternity. Lucifer has groomed him for this day and lays out the task before him. Vlad Dracula with a new and different version of Dracula the vampire. He has released the series in two arcs, one that follows Dracula the man and the other following Dracula the vampire. Away from writing, the author has a wide range of interests. 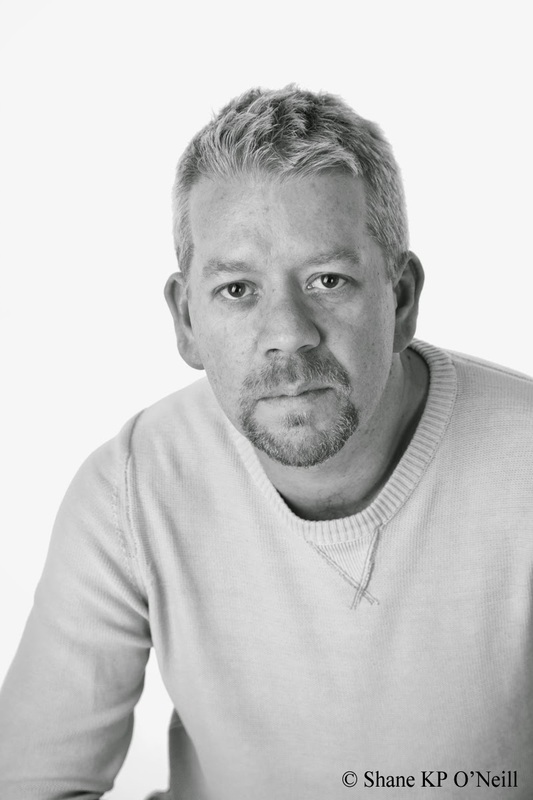 He reads a lot of books from a wide variety of authors, though his main interest lies in the horror genre. His love of books is matched only by his love of the countryside and of course, his family. As an added note, he has lived and traveled all over the world. 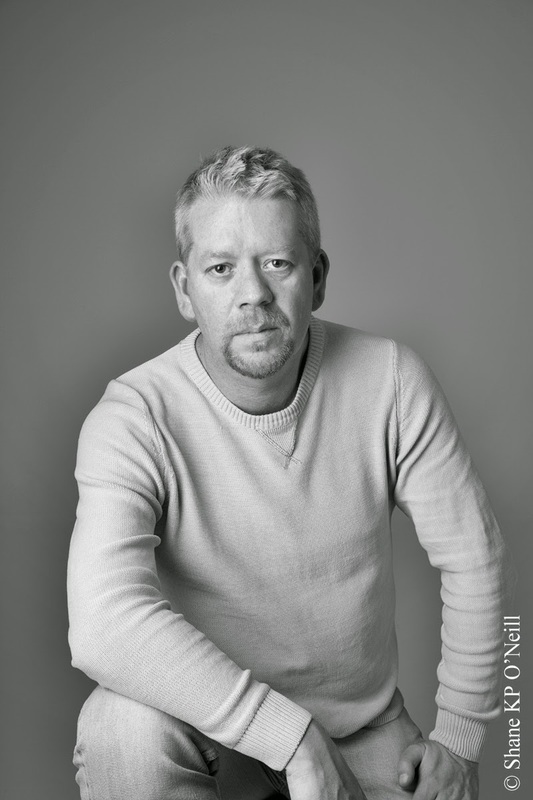 He has a love for all things historical, with a particular fascination for medieval Europe. Anywhere he travels, he likes to search out locations with an historical interest and will always hunt for the ruins of an old castle before heading to the beach.